Do you have that one door in your house that you always struggle with opening?? I know we do and we have doors our children struggle opening too! We all know what it’s like to struggle with a door when we have a laundry basket or bags of groceries in our arms. 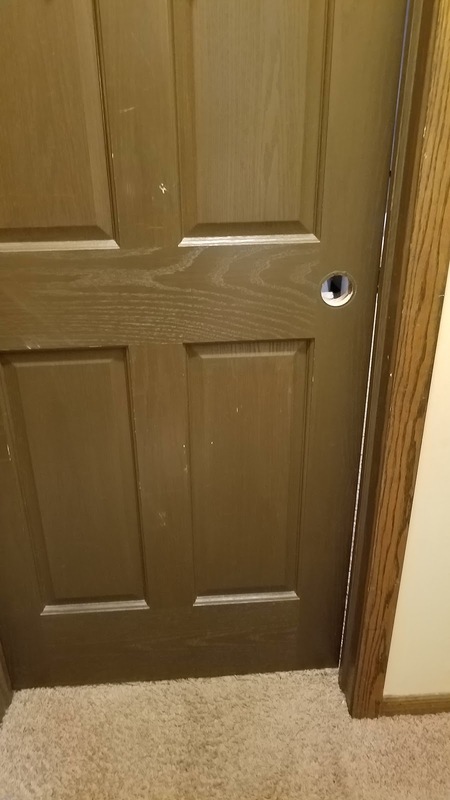 The darn door handle won’t turn! Well, no longer!!! One of my favorite lock and handle companies, Yale, has recently released the Navis Paddle, a quick, easy and comfortable way for anyone – young, old or in between – to open a door. It has a two-way push/pull operation so users can open doors with a hip or elbow when hands are full. Easily installable in DIY fashion, it’s perfect for high-traffic areas like laundry rooms and garages when a hands-free solution is needed. It’s also convenient for kids, the elderly and the disabled. The Navis Paddle makes door opening versatile and convenient for any member of the household. A door can be easily pushed open with a hip or elbow when carrying an armful of groceries or a load of laundry — its two-way push/pull operation makes it ideal for laundry rooms, garage entries, basements, bedrooms and more. 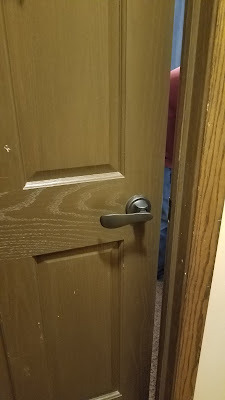 The ADA-compliant handle is also accessible for children, the elderly and the disabled. Available in three finishes (polished brass, oil rubbed bronze, satin nickel) and functions (passage, privacy, dummy), the Navis Paddle replaces existing levers or knobs with just a few tools. The product comes with an installation manual, and there is also a 3D animated guide on the free BILT app. I LOVE the Oil Rubbed Bronze color I received and I also really love how easy it really is to open and shut the doors now! My children no longer struggle getting in and the doors shut quieter too! These are genius - why aren't ALL door handles easy to open like these??!! You can purchase Navis Paddle handles now on ShopYaleHome.com and Amazon.